"History repeats itself – the robber barons of the Middle Ages and the robber barons of today." This nineteenth century cartoon depicts wealthy industrialists as "robber barons" - an allusion to the feudal lords of the Middle Ages who charged extravagant fees to travelers who passed through their lands. 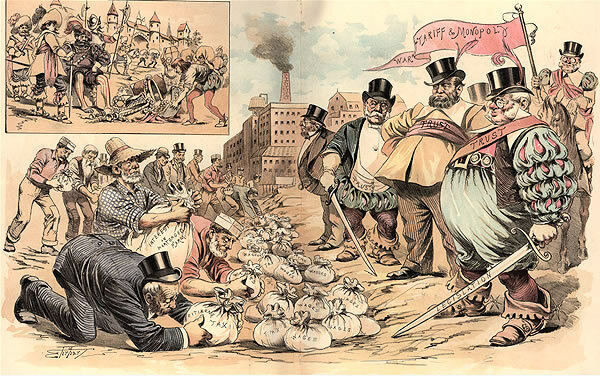 This perspective was based on the assumption that the enormous wealth of industrial leaders such as Andrew Carnegie, J.P. Morgan and John D. Rockefeller was gained through the exploitation of their workers and their influence on elected officials.